Believe it when I tell you that good hash makes the world go round. Maybe it doesn’t exactly, but I know It helps out a good deal. 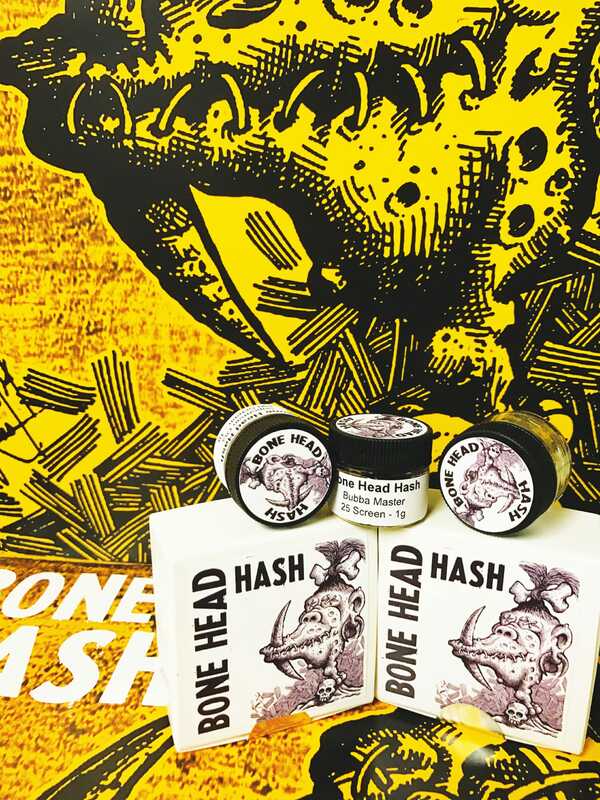 Bone Head Hash are my new best buds mostly figuratively, and I’m working on the physical part as I type this very review. Their hash smells so dank when you open the jar. It smells like it was taken from a strain that was sticky, dense, and super dank all together at the same time. The potent strain that I reviewed was called Royal Hawaiian, and I’m so incredibly curious to see what other options they have available. It comes in 1 gram jars that are so cute and just perfect for traveling. It fit right into my purse for those days I want to spice up my joints while out and about. Opening the jar greets you with an aroma of cannabis, and it has this brown crumble that you can keep in big chunks, or easily break down even more. The way I consumed it was by sprinkling some of the brown crystals over a bed of fresh JFK flower (Juicy Fruit Kush), rolled it up, and the marriage was something straight from the Ganja Gods playbook. I’m serious, this had me putting out my perfectly rolled joint after only a few puffs, and trust me when I say I do this for a living, so my tolerance is higher than the average bear. I definitely want to try more, so check them out and tell them Edibles List sent you.